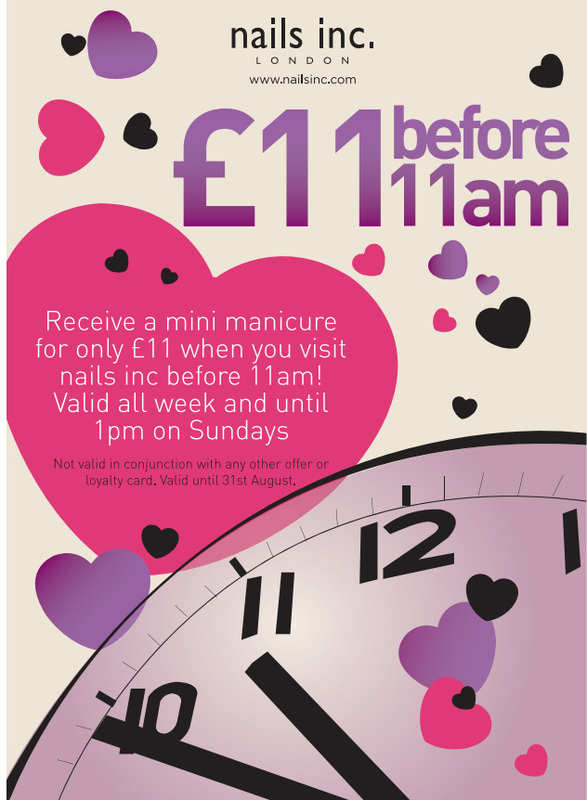 Don’t forget ladies, you only have until the 31st August to book in and receive your £11 Nails Inc mini manicure. The catch? You must get yourselves and your nails down to your local Nails Inc. before 11am! Will you be indulging in an early morning file and polish?! Hurry! A lovely Clinique Bonus Time treat!